The MDT Program of Certification consists of comprehensive post-grad course work to best prepare the clinician for the Credentialing Examination – the primary level of MDT Certification. Upon certification, providers become part of a patient referral network and will be required to maintain MDT Certification Continuing Education standards (CCES Policy Details). Be sure to familiarize yourself with the Course Cancellation Policy prior to registering for a course. An introduction to the concepts and applications of the McKenzie Method® of Mechanical Diagnosis and Therapy® (MDT) focusing on the lumbar spine. Principle format is lecture, discussion and live patient demonstrations. The course begins with a comprehensive online session, followed by a three-day live course. The online component allows you to work at your own convenience and learn from an interactive blend of visuals, audio and video, but still participate in the live course that is so integral to the McKenzie educational programming. Friday-Sunday Times vary depending on clinic availability. Saturday-Monday Times vary depending on clinic availability. 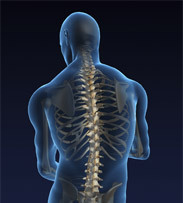 Read the textbook, THE LUMBAR SPINE: Mechanical Diagnosis & Therapy. In Canada, you can purchase this text through The Physio Store by calling 1-519-439-6333 or visiting the Physio Store website. This course examines how McKenzie MDT applies to the cervical and thoracic spines, utilizing the same teaching format as Part A and also begins with a comprehensive online session, followed by a three-day live course. Read the textbook, THE CERVICAL AND THORACIC SPINE: Mechanical Diagnosis & Therapy. In Canada, you can purchase this text through The Physio Store by calling 1-519-439-6333 or by visiting the Physio Store website. This course focuses on advanced McKenzie MDT principles and practical application for the lumbar spine and an introduction for the lower limb. Upon completion of the course, you will be given access to additional videos of MDT Procedures relevant to this phase in the curriculum. Thursday-Sunday Times vary depending on clinic availability. Friday-Monday Times vary depending on clinic availability. Read the textbook HUMAN EXTREMITIES: Mechanical Diagnosis and Therapy. In Canada, you can purchase this text through The Physio Store by calling 1-519-439-6333 or by visiting the Physio Store website. This course focuses on advanced McKenzie MDT principles and practical application for the cervical and thoracic spine and an introduction for the upper limb. Upon completion of the course, you will be given access to additional videos of MDT Procedures relevant to Parts A – D curriculum. 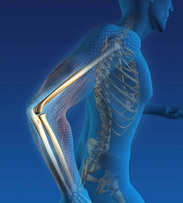 If you proceed to attend this Part D course, read the Human Extremities textbook before the course. Read the textbook, HUMAN EXTREMITIES: Mechanical Diagnosis and Therapy. In Canada, you can purchase this text through The Physio Store by calling 1-519-439-6333 or by visiting the Physio Store website. Saturday-Sunday Times vary depending on clinic availability. Sunday-Monday Times vary depending on clinic availability. As its name implies, this course focuses on review and update of the principles and application of the McKenzie theory and techniques of Mechanical Diagnosis and Therapy®. The course will include more intensive clinical reasoning and problem solving through a high volume of patient demonstrations and case study analysis involving all regions of the spine as well as the extremities. Each major subdivision of the course has very specific educational objectives that will reinforce the knowledge and skills which will further refine your own abilities in applying these principles. With two instructors, the opportunity for one-on-one tutelage is significantly greater. More effectively apply the McKenzie Method of Mechanical Diagnosis and Therapy to patients with spine or extremity problems. Further cultivate patient interviewing skills to accurately determine the most efficient examination pathway. With the more challenging patient, distinguish between the McKenzie syndromes (postural, dysfunction, and derangement) as applied to the spine and extremity problems, and provide appropriate treatment regimens for each of the syndromes and their sub-classifications. More readily identify when the application of external forces is required for the resolution of symptoms using McKenzie's "progression of forces" concept. Refine the ability to teach patients to apply the therapeutic processes on their own to maintain treatment goals. Course Fee Includes: Lunch & refreshment breaks daily. From time to time, we will offer special one or two day, MDT Advanced Workshops or MDT Master Classes. These workshops have been specifically designed to provide MDT trained practitioners with an opportunity to refine their techniques and improve their clinical reasoning capabilities using a combination of lecture, case studies and role playing. The content will differ from course to course. However, each course will have very specific educational objectives, specifically designed to strengthen your MDT knowledge and skills and to further refine your own abilities in applying these principles. An effort will be made to schedule these workshops regionally on an annual basis, except during a MII conference year. Attending a two-day workshop will enable Cert-Dip MDT’s to fulfill the CCES requirement to maintain their status on The McKenzie Institute Canada Provider Locator. 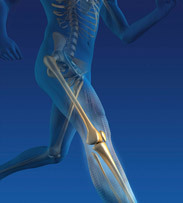 What’s new in MDT - latest research and trends. Course Hours: Differs from course to course. Please read the specific course description. Pre-requisite: Please refere to the actual course listing, as pre-requisite may vary, depending on the course content. Instructional Level: Please refer to the actual course listing, as the instruction level will vary depending on the content of the workshop. Eligibility Details: Please refer to the actual course listing, as pre-requisite may vary from region to region. *Click on the course link below for specific details on each course. Course Fees: $225.00 up tp $275.00 per day. The prices will vary depending on the type of course offered. Please see the actual course listing for full details on price and content. McKenzie Annual Membership holders receive a 10% discount off course fees. Audit (Retake): not applicable. From time to time, the McKenzie Institute Canada Branch will hold a special event specifically designed to introduce Canadian health practitioners to the world of Mechanical Diagnosis & Therapy. 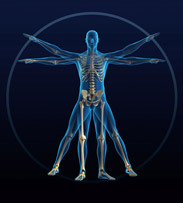 The prime objective of these one day educational sessions is to fully demonstrate the benefits of MDT, an evidence-based patient assessment system, to health practitioners that have never been truly exposed to the McKenzie approach. For many practitioners across the country, their only exposure to the McKenzie Method of Mechanical Diagnosis & Therapy was a brief two to three hour overview given during a school term. These events will provide knowledge seeking practitioners an opportunity to learn why health professionals worldwide are working to attain their certification in the McKenzie Method of MDT. These events, conducted by accredited McKenzie Institute instructors, include a comprehensive overview of the McKenzie Method of Mechanical Diagnosis & Therapy, real patient demonstrations, a live workshop and an open forum giving attendees an opportunity to question the MDT experts. Each special event will have its own individual format. For more information on the individual events, please consult the details section under the course list. Course Fees: Course fees will vary depending on the location and course inclusions. Please see the Special Event listing for more details.